Beto O’Rourke, former senate candidate and current dad with a skateboard, has lost much of his shine since losing to Ted Cruz in November. When you’re not running against a brazen ghoul who cosplays as the Penguin 24/7, name-checking bands like Minor Threat and Metallica as a middle-aged man does a lot less to cover for your milquetoast policy positions, it turns out. But wait! A story came out today that seemed to put some studs back on Beto’s belt as he pursues his inexplicable 2020 presidential campaign: This guy used to be a real life computer hacker! Sort of. There is no indication that O’Rourke ever engaged in the edgiest sorts of hacking activity, such as breaking into computers or writing code that enabled others to do so. So what did O’Rourke’s membership in CDC amount to? For starters, stealing phone service to connect to the internet (which was pretty common at that time), seeking out cracked video games, and posting some very teenage ramblings online. 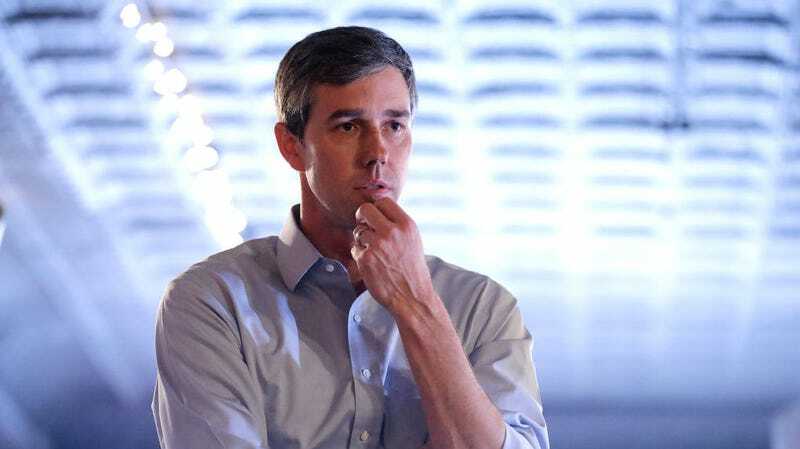 “The bulletin boards were ‘a great way to get cracked games,’ O’Rourke said, adding that he later realized his habit wasn’t morally defensible and stopped,” Menn writes. What input he provided in CDC stopped, allegedly, by age 18, almost three decades ago. Chances are if you attempted to navigate adolescence on Live Journal or Tumblr, torrented a keygen for a pre-CC version of Photoshop, or downloaded an album off Napster, Limewire, or Mediafire, you have done exactly as much “hacking” as Beto O’Rourke. Please don’t take that as an invitation to add your name to a Democratic ticket—we have enough people running already.